AKME The IV annual conference of AKME-engineering "Energy of a New Generation"
The IV annual conference of AKME-engineering "Energy of a New Generation"
December 10, 2013 AKME-engineering for the fourth time held its annual conference "Energy of a New Generation" with the representatives of the SVBR-100 project contractors, company's shareholders, as well as regulatory, supervisory, municipal and federal authorities. The conference was opened by Deputy Director of Innovation management unit of the State Corporation Rosatom Alexander Tuzov, Deputy Director General of EuroSibEnergo Alexander Prilepsky, Assistant Department of Defense Industry of the Government of the Russian Federation Irina Shuvalov, First Deputy Head of Administration of Dimitrovgrad - where the pilot SVBR-100 unit will be deployed - Alexander Baryshev and CEO of AKME-engineering Vladimir Petrochenko. Presentations were made by representatives of each key organization involved in SVBR 100 project. 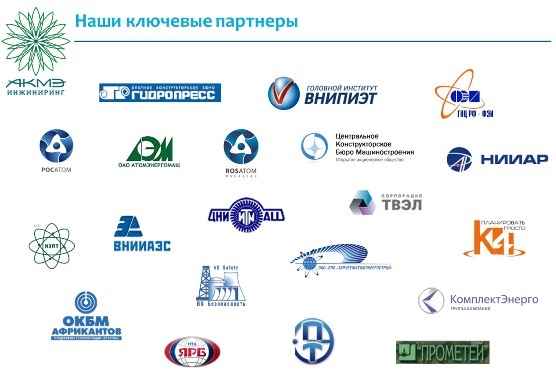 Among them – GIDROPRESS, VNIPIET, IPPE and CDBMB. 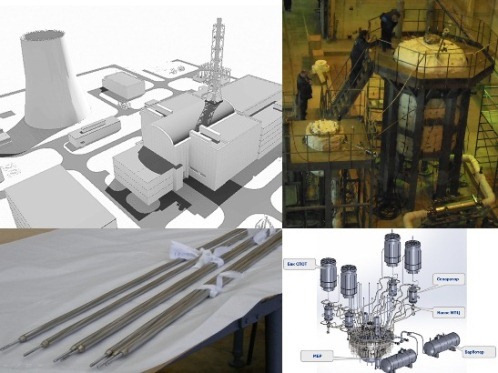 Thus, the participants were able to get the most complete picture of the project, including the organization of industrial site development of the pilot unit in Dimitrovgrad, work on basic, remote-controlled, transport and technological equipment, justification elements of the reactor’s core, properties of the liquid metal coolant, main technical and economic indicators of the project, etc. Conference results were summed up by AKME-engineering Director General Vladimir Petrochenko. His final presentation listed company’s achievements, existing problems, outlined plans for 2014 and beyond, and identified SVBR- 100 project tasks.